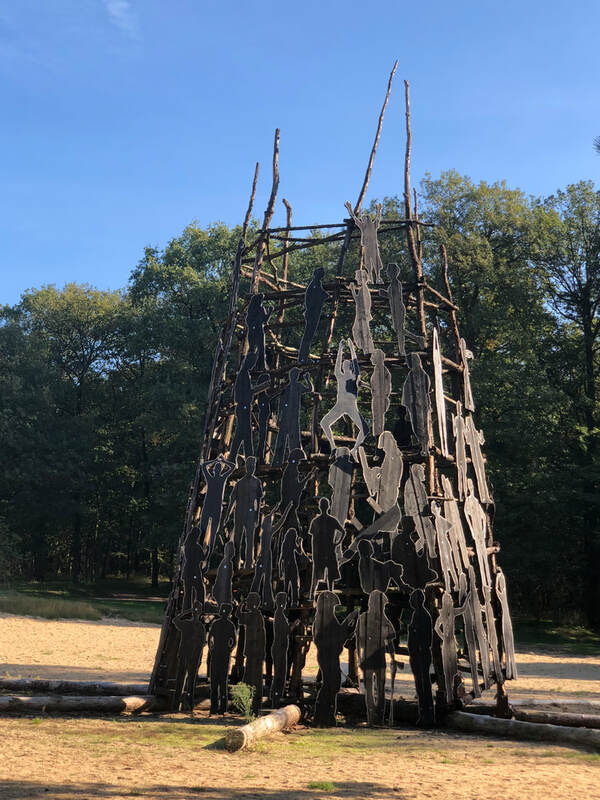 In a wooded area on a short distance from the Dutch city of Nijmegen is the Museum Park Orientalis, the oldest open-air museum in The Netherlands. The park was initially founded in 1911 as a Roman Catholic devotional park. 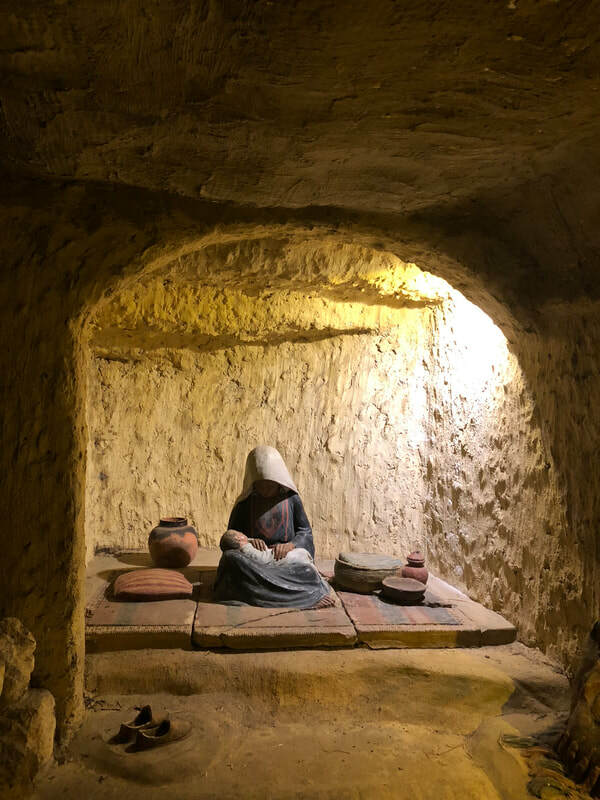 Its purpose was to help parishioners in the area who were unable to travel to the Holy Land to imagine what the Holy Land looked like, and to experience re-created locations central to the life of Jesus. Since the early 20th century, the museum has undergone major changes. Nowadays, it not only portrays locations related to the Bible, but aims to bring to life the colorful world of the Middle East and the three major Abrahamic religions: Judaism (added to the museum in the early 1970s), Christianity and Islam (from 1993 onwards). ​When visiting the park, one first passes through an inside museum with temporary exhibitions on display. After having visited the exhibits, one walks through the park’s various, spaciously dispersed locations. Depending on the speed of walking and visiting, meandering the grounds can range from one hour to half a day (official tours through the park last 2.5 hours). Examples of locations are the Jewish Beth Juda, including a Syrian farm house and synagogue; an Arabic caravanserai situated next to a Bedouin campsite; and the Arabic village Bait al-Islam including a mosque. Sponsored by the Sultanate of Oman, the mosque’s opening in 2011 was attended by Maxima, princess of the Netherlands. 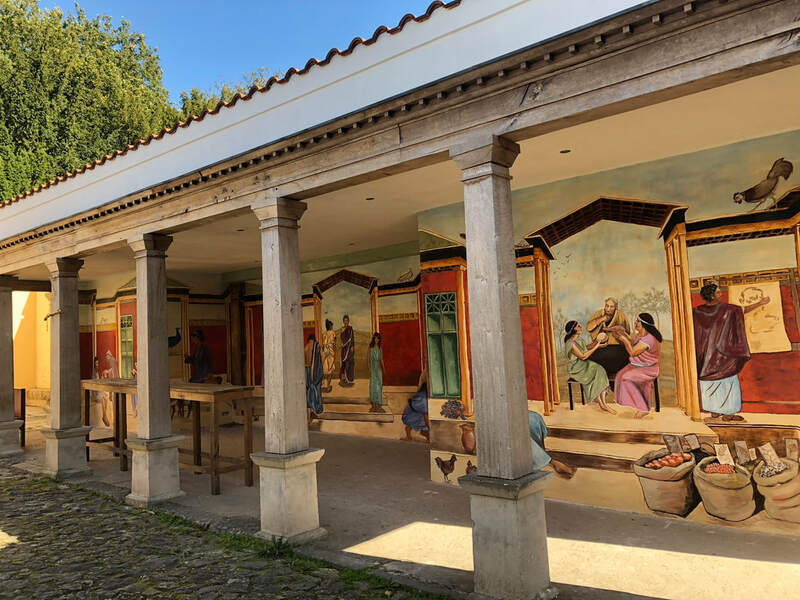 Next to the park are located a cemetery, a small chapel (the Chapel of Ascension), a large rock with a cross on top symbolizing Golgotha, the Jerusalem hill where Jesus was crucified, and the Stations of the Cross: fourteen depictions made of mosaics. Like most visitors, we began our tour with the inside museum displays. 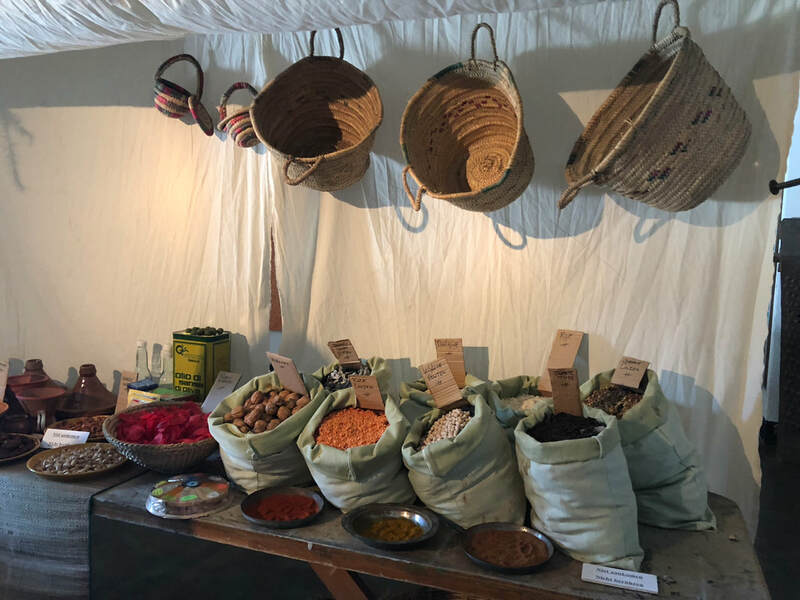 In October 2018, the theme of the exhibition was food and religious festivities. In December 2018, this inside museum was home to the largest Christmas diorama in Europe, consisting of over 1800 figures in a landscape of over 100 square meters (the museum is currently trying to secure finances to buy the diorama through a crowdfunding project). ​Passing through the inside museum feels like going through a stage of ritual separation: we travel away from our daily lives, and enter a different, quiet, ancient world. While being in this liminal stage, we begin our walk through the park by visiting Beth Juda. As Christians, we immediately notice a small house entitled ‘Mary’s house,’ and wonder if this was a typical house of those days. Next to the house is a small kitchen garden, with herbs and bushes native to the Near East. 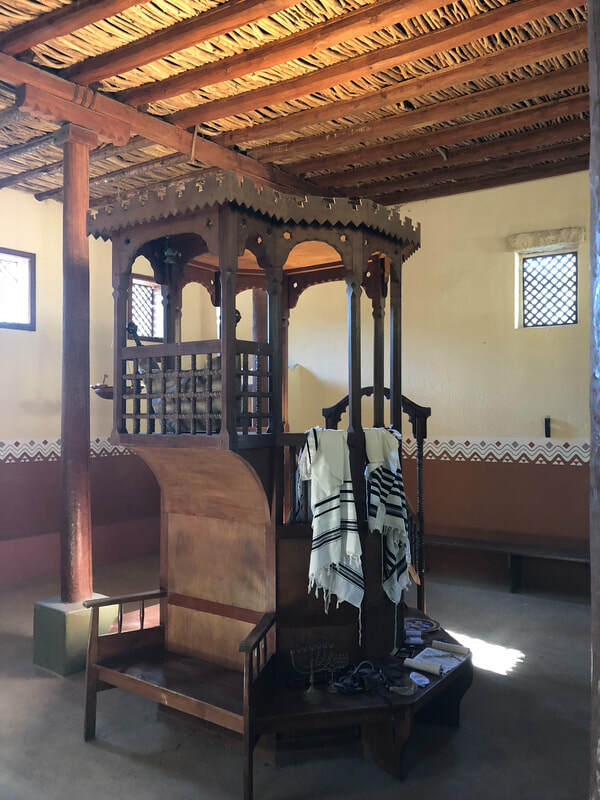 Inside the synagogue, centrally located in the village, we pause for a moment, feeling ourselves embraced by beautiful Jewish songs coming from speakers and which can be heard from some distance. On the market square of the town, a statue of a beggar is located. Otherwise, the village is empty on this Friday afternoon, even though on weekends and during holidays, volunteers will be making crafts and livening up the place. ​We continue by strolling away from the Jewish village, and passing by a secret garden. We then see a small group of shepherds sitting on a small stone building, which also serves as their sleeping place, overlooking their sheep. ​While wondering if these were the shepherds that received the message from the angels to visit the new born child, we enter the nativity cave, finding Mary with the new born child in her arms. During Christmas season, this cave comes to life with live animals (sheep, donkeys, cows and camels). For us wanderers, there is more to discover: the real-life imitation of the caravanserai invites us to take a rest, imagining how those traveling with camels might have felt after a long journey through the desert. We continue on to the Arabic fishermen’s village with a mosque and a small exhibition on Islam. The exhibition provides visitors with information on the life of Muhammed, shows different Qu’rans, and explains the five pillars of Islam. The architecture of the village is inspired by the city of Mirbat, on the south coast of Oman. Mirbat used to be an important node in ancient trade routes. From the city of Mirbat, caravans travelled the desert with valuable treasures towards Mesopotamia, Palestine and the Roman Empire. Via sea, trade was conducted with East Africa, India and China. 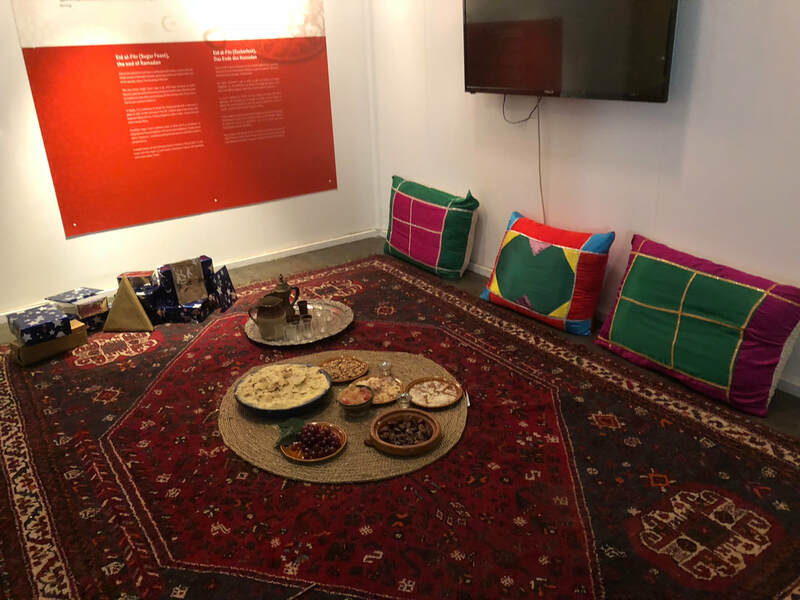 In weekends, docents in the park village serve Middle Eastern tea and teach visitors how to write Arabic. As most visitors to the museum would have little to no knowledge of Islam, the replica of Mirbat is a valuable addition to the museum. It offers an interesting insight into the religion, and contributes to the overall knowledge of Islam in the Netherlands, as well as intercultural dialogue and education. These are precisely the reasons why the Sultanate of Oman has decided to invest money in the project, to show the European public that intercultural collaboration with the Middle East is indeed possible. ​Lastly, we enter the Roman city street. 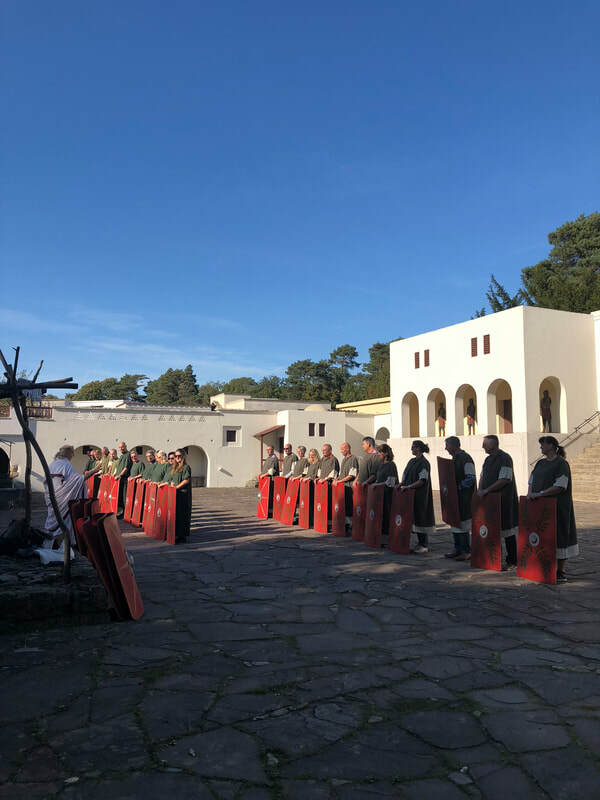 We are welcomed by a group of business employees, dressed up as Roman soldiers, going for a team-building quest under the leadership of a Roman emperor. The rest of the street portrays everyday life during Roman times, displaying homes, a temple, and an inn, selling dishes inspired by old times: Bedouin tea with pieces of fruit in it; cake with figs, cinnamon and cardamom; Jewish lentil soup; falafel or gyros; and Roman bread. Here, while enjoying a nice cup of (Dutch) coffee, we enter back into our everyday lives, having transgressed through the liminal stage of the visit. All in all, we conclude that museum park Orientalis offers a nice walk back in time in a wonderful natural setting. The park can be inspiring for adults as well as children, particularly when workshops and re-enactments are organized. 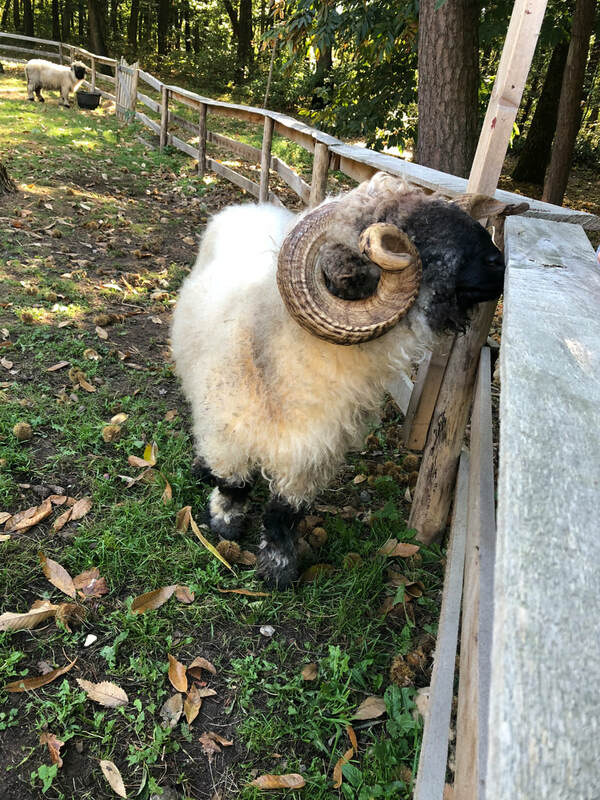 The park can help to create a livelier impression of the context from which Judaism, Christianity and Islam originated, without having to travel all the way to the Holy Land. In an educational and relaxing way, we learned about the three Abrahamic religions. 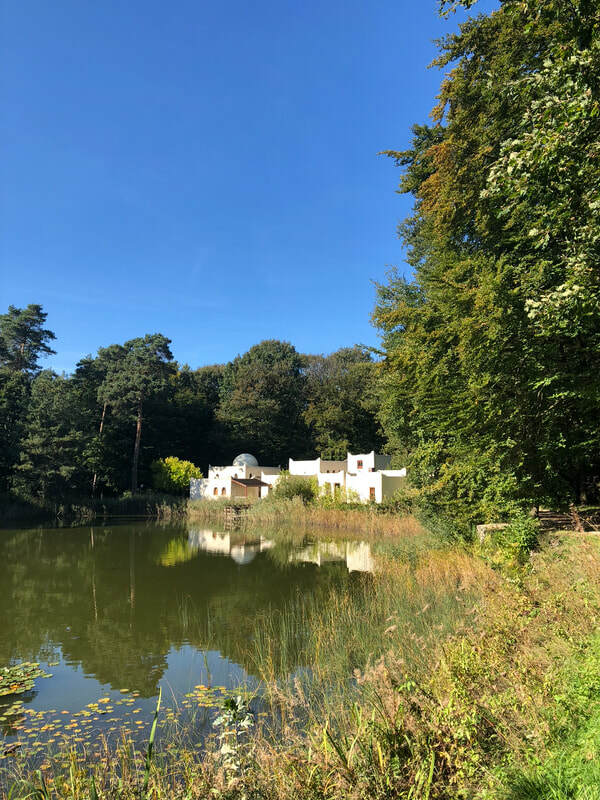 As such, the park delivers what it promises: for a short period of time, we are transported back in time and place, to the Middle East and spanning multiple centuries. However, the park could be improved. The perhaps outdated ideas of letting people wander on their own, without giving too much contextual information, does not seem to fit the present-day visitor to the museum anymore, especially considering that this visitor is likely to be unknowledgeable regarding Christianity (let alone the other religions presented). While the average visitor to the museum nowadays will still be Dutch and German people from Christian backgrounds, their knowledge on Judaism or the Biblical narratives might be less than that of visitors a few decades ago. Knowledge on Islam might be especially scarce, and the limited amount of information given might not help enough to fill this knowledge gap. We also lacked a feeling of immersion through entertainment, particularly on this day, when no entertainment was on offer – apart from some statues and short information signs here and there. Much is thus asked from the visitor to make the visit a memorable and educational one. Perhaps with more entertainment, an update of technology and information signs, and a link to the contemporary worlds of Christianity, Judaism and Islam, the museum could once again inspire those that are not able or willing to travel all the way to the Holy Land.